Network schematic – The network schematic provides a critical role as a model input, providing information on the connectivity, length, and shape of network components and it also plays an important role in the display and analysis of model results, acting as the vehicle for results presentation. 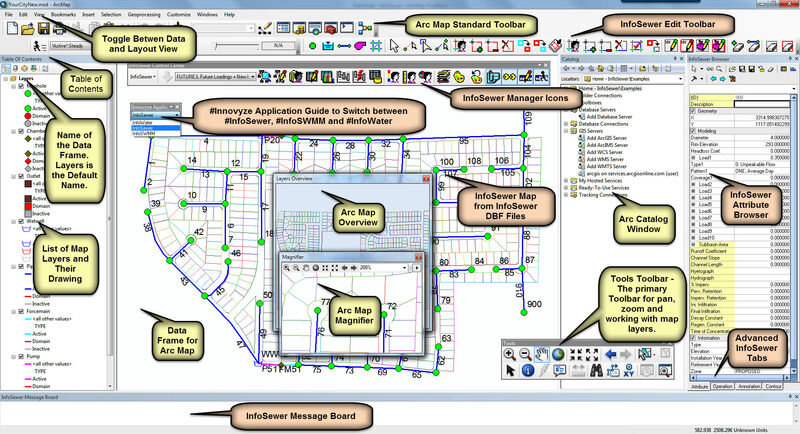 Modeling attributes – Information associated with network elements act as the primary input to the hydraulic network simulator. 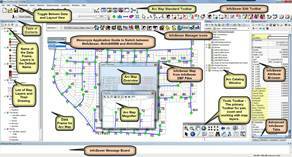 This information includes a set of required attributes describing critical components of system operations and a set of user-defined attributes for integration with other infrastructure management applications.